Jacob Haish had the creative, working mind of an inventor. If he thought there was a better, more efficient way of doing something, he was going to create it. 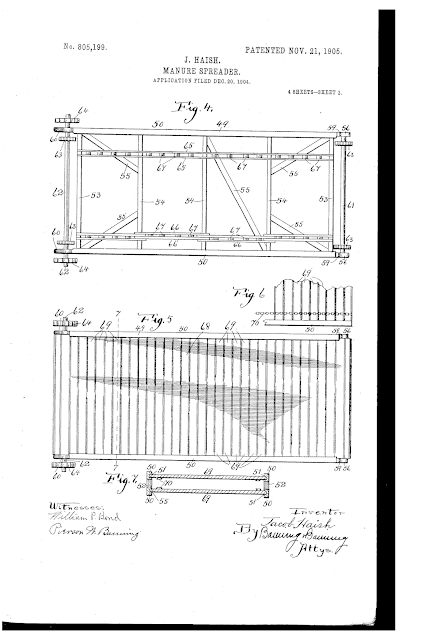 This patent is for a "manure spreader," which would be used to spread manure on a field for fertilizing. 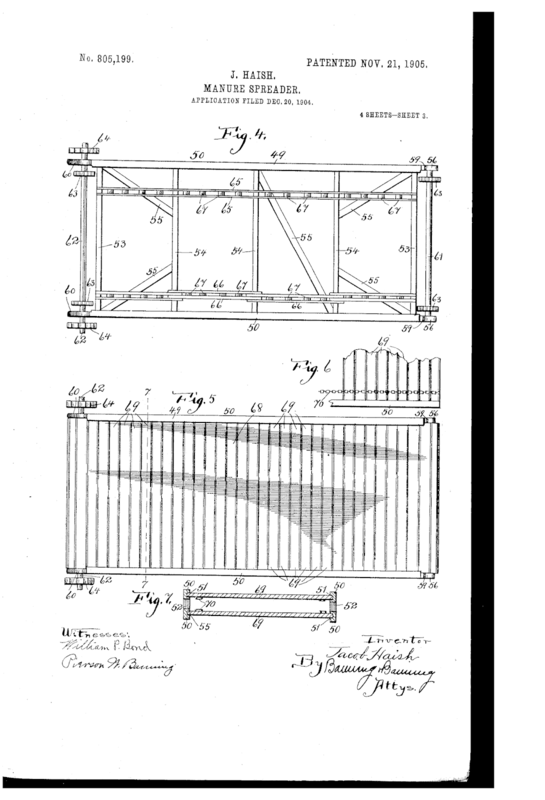 The application was filed in December 1904, and awarded in November of 1905. 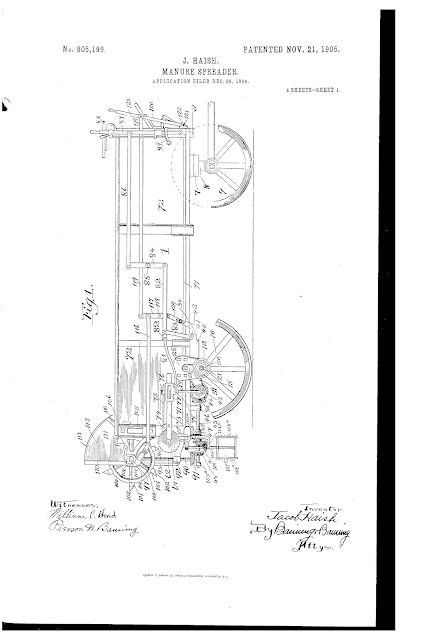 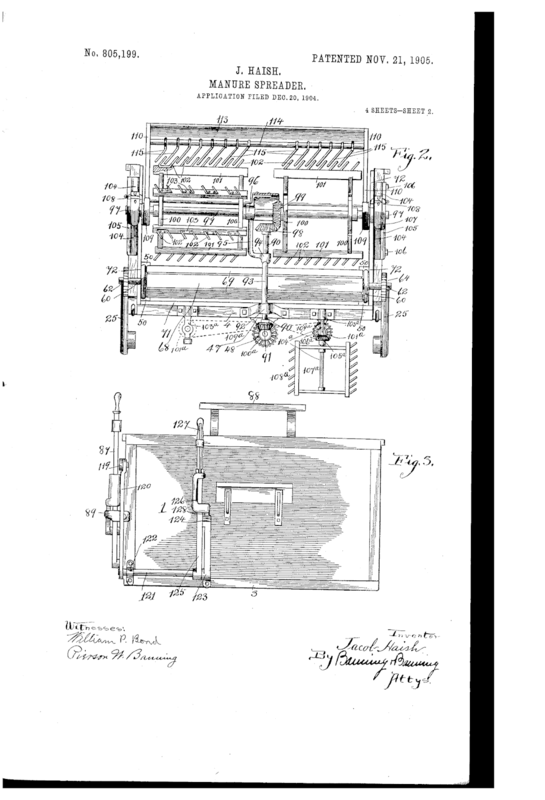 The patent reads: "This invention is intended to combine within itself a perfectly-regulated and easily-operable manure-spreader adapted to carry down and discharge the manure from a suitably-disposed wagon-body, the parts of which are so arranged as to be entirely under the control of the driver on the front seat, who will be enabled without moving his position to control and regulate the movement of a carrier-apron and rotary spreader and the power for actuating the same." 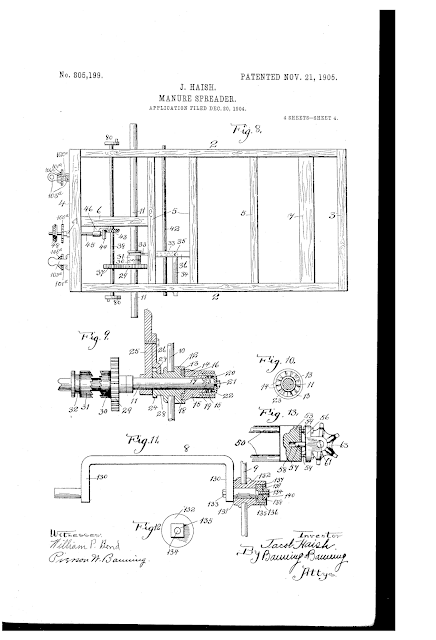 More information from the patent papers can be found here.